Cartomizer and Atomizer Ohm Meter. Easily test cartomizers and atomizers without having to use a meter. 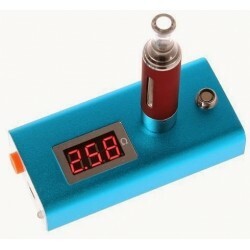 Simply screw on a cartomizer or atomizer and this tester will show you the ohms. 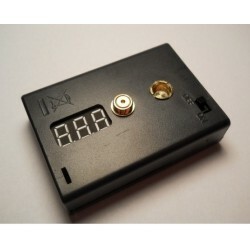 Great for testing ohms or for bad cartomizers or atomizers. Easily test cartomizers and atomizers without having to use a meter. 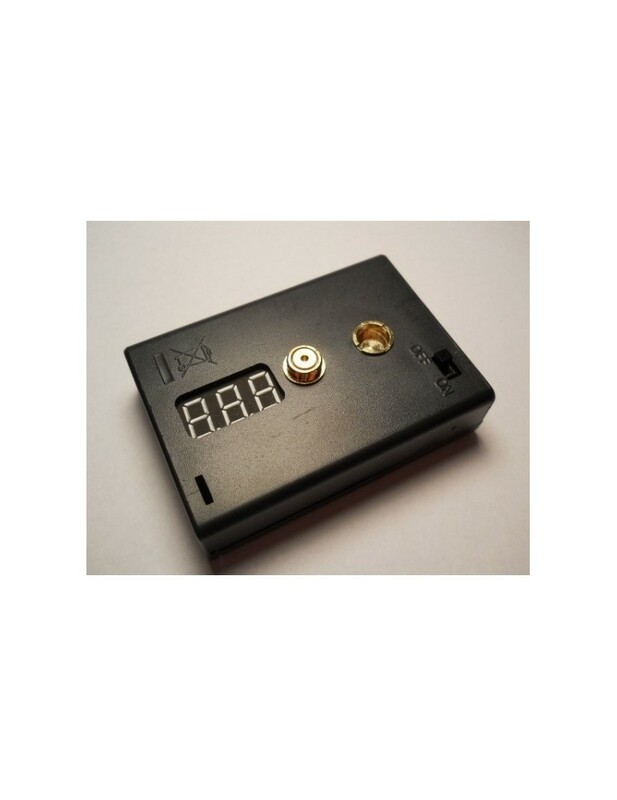 Simply screw on a cartomizer or atomizer and this tester will show you the ohms. 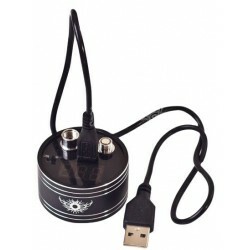 Great for testing ohms or for bad cartomizers or atomizers. The ohm meter will read a 1 in the first digit to the left if there is no current flow through the device. Basic accuracy is 0.005Ohm or 0.2%, whichever is larger. When the measurement is below 1.00Ohm, the meter will display mOhms, or 1/1000s of an Ohm, instead of Ohms. This means there will be no decimal point. So an ohm reading of .75 ohms would read as 750mOhms. The meter is simple and easy to use with native 510 and 901/808 connectors. Extensions or adapters can be used to test other atomizers or cartomizers as well as eGo style atomizers and cartomizers. The test amperage is only 6mA and will not produce heat at the coil of the atomizer or cartomizer you are testing. Requires two (2) 1.5 Volt AA batteries which are not included. DO NOT USE 14500 Li-ion or other 3.7 Volt Batteries as this can cause inconsistent readings.